290 Rt 9 at Seneca Blvd. 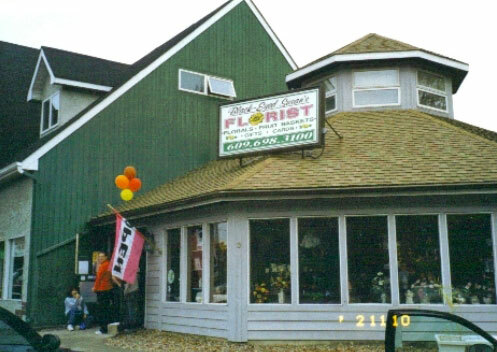 Local Florist offers same high quality for nearly 30 years! Beautiful!! Even the ones from last week are still fresh. You brightened my day! Alice M.
These are stunning! Ann I. You did such a beautiful job! Thank you. Linda D.
Everyone is so pleased! The flower arrangements are beautiful! Southerm Ocean Medical Center 'The Bird Cage' gift shop. Everything you do is beautiful! Betty E.
Isn't that cool! Maria K.
Everyone is so happy. The flowers are beautiful! Karen A.
I was so impressed, I'm calling you again. Walt M.
You girls always do a great job! I trust you! Sharon C.
You come highly recommended! Mary S.
You do absolutely wonderful work! Barbara P.
We have been included in publications by Teleflora, FTD, 1800flowers, Asbury Park Press and Times Beacon Newspapers. We are a certified Thomas Kinkade dealer, carry products by Lenox, Waterford, Burt’s Bees, artists: Lena Liu and Laura Ashley and chocolates by Whitmann and Russell Stover. Located on the Barnegat/Waretown border, we are a 4th generation florist committed to our community since being established in 1989. One of our proudest accomplishments has been to establish the Black-Eyed Susan's Florist Scholarship Fund which is awarded annually to a student in both Barnegat High School and Southern Regional High School. We support and service area churches such as St. Mary’s Roman Catholic Church, Bayside Chapel, Barnegat United Methodist; Barnegat Board of Education, elementary, middle and high schools in Barnegat, Priff and Waretown Elementary schools in Waretown; and Southern Regional Middle and High Schools; Barnegat, Ocean Twp and Long Beach Twp Police Departments; Homeowner’s association groups such as 4 Seasons at Mirage, Heritage Bay, Heritage Point, OceanAire/Greenbriar and Pebble Beach; veterans’ organizations: American Legion and VFW; along with Ocean County and major organizations like Big Brothers/Big Sisters, Catholic Charities-Providence House Domestic Violence Services, the Ancient Order of Hibernians, The Knights of Columbus, Operation Enduring Freedom and the DARE Programs. 290 U.S. Hwy. 9 @ Seneca Blvd. Please call 609-698-3100 and leave message. Our shop serves the following areas at the Jersey Shore: Barnegat, Barnegat Light, Bayville, Beach Haven, Beach Haven Boro, Beach Haven Crest, Beach Haven Gardens, Beach Haven Park, Beach Haven Terrace, Beachwood, Brant Beach, Brighton Beach, Cedar Run, Dunes, Eagleswood Twp., Forked River, Harvey Cedars, Haven Beach, Holgate, Lanoka Harbor, Little Egg Harbor, Loveladies, Manahawkin, Manchester, Mayetta, Mystic Islands, North Beach, North Beach Haven, Ocean Gate, Ocean Twp/Twp of Ocean, Parkertown, Peahala Park, Pine Beach, Ship Bottom, South Beach Haven, Spray Beach, Stafford Twp., Staffordville, Surf City, Toms River, Tuckerton, Warren Grove, Waretown, and West Creek. If you have any questions or need more information, please call us directly at (609) 698-3100. We're always here to serve you and make your flower-sending experience a pleasure. For sympathy flowers after hours please dial 609-698-3100 and leave message. Someone will return your call promptly. Orders within our delivery radius must be received before 2:00 p.m. to assure same-day delivery. Orders received after that time will be delivered the following day.